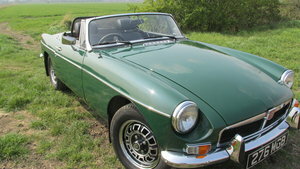 This car has been campaigned through out Europe for many years now. 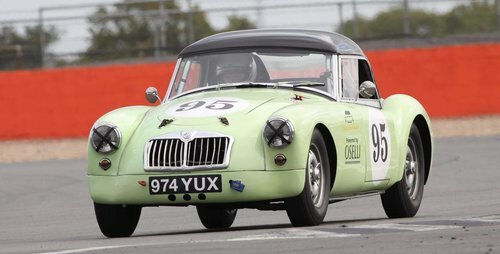 More recently in the Silverstone Classic. 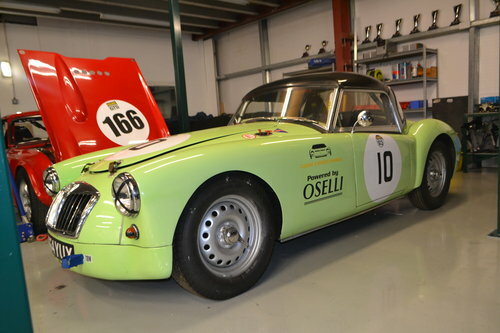 Papers with the car include FIA Historic Vehicle Identity Form & Passport Technique Historic. 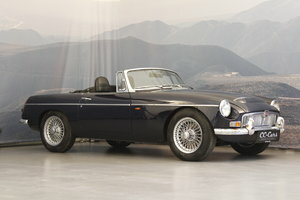 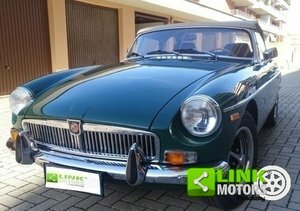 Currently fitted with an 1840cc MGB FIA engine and Weber carburetor, although a Twin cam engine (in bits) is included with this car. 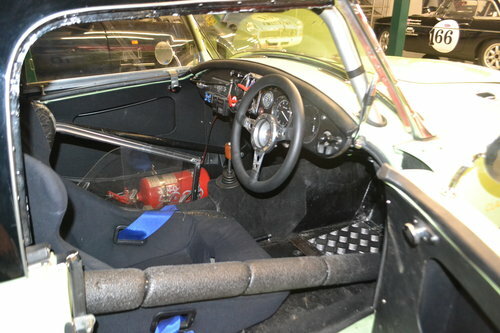 Full spec includes a straight cut gearbox. 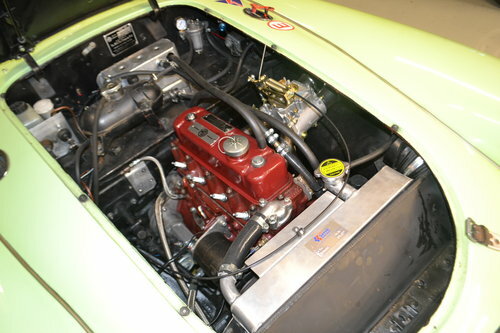 limited slip diff and all twin cam features. 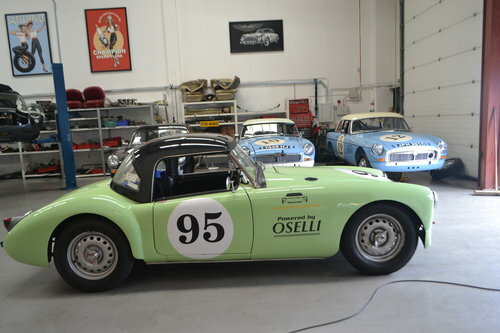 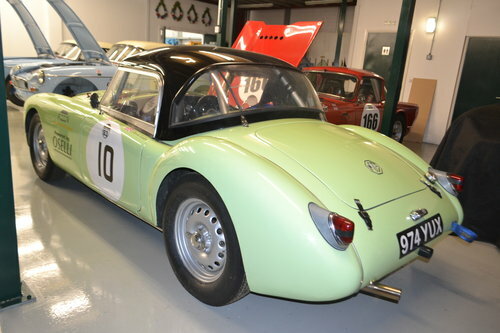 1957 MGA FULLY PREPARED RACE CAR.